Without wanting to go all philosophical on you, John Paul Sartre would, I think, have made an interesting critic of the HARRY POTTER film series. JPS observed that there is a side of human life that defines things by their absence. We intend to meet a friend for coffee in a bar but she is late and so what we notice more than anything about the bar is not the bar itself but her absence from it. That is a truth of life: we notice what isn’t as much as what is. Well, I’ve taken that principle and applied it to the HARRY POTTER films and I’ve noticed two things that are ‘missing’. In differing ways each has a bearing on my choices on the HARRY POTTER VOICES COLLECTION. What makes them stand out by not being there is emphasized by the fact that they are usually present in the vast majority of successful blockbuster movies, namely American accents and modern technology. An alien watching the HARRY POTTER film series could be forgiven for thinking the United States didn’t have any wizards or indeed that there weren’t even such things as ‘Americans’. Christopher Columbus might as well have stayed at home for all that they feature in the HARRY POTTER franchise. An alien might also consider how these movies even got made because modern technology, with the exception of the odd red British phone box, is again noticeable by its absence. Wizards don’t even have mobile phones but rather seem to prefer the less than speedy communication of carrier pigeon. There is, I admit, the brief appearance of a transistor radio in the penultimate film DEATHLY HALLOWS PART ONE but even this needs to be ‘tuned in’ like an old crystal wireless or ‘cat’s whisker’ my grandmother used to talk about from the 1920s – and half the time it doesn’t even work at all! All a bit quaint, really. And that’s the point. HARRY POTTER is quaint and quaint is what we like. From Kings Cross and steam trains to knitted jumpers and academic professors in gowns HARRY POTTER is rooted in the British past. You suspect that even John Betjeman would secretly have bought the DVD collection to devour at home. I mention these ‘absentees’ because in differing ways they have had an effect on the casting of the series and so consequently on the range of voices on my HARRY POTTER VOICE COLLECTION. The most obvious thing to say is that the majority of actors used in the film series are British. More specifically, British character actors. There are certain actors who bring with them, because of their face or voice, a certain persona that makes them perfect to play a particular role. You find this in many of the classic British films of the 1940s and 50s, from the Ealing comedies to the Shepperton produced classics of Launder and Gilliat. Cast HARRY POTTER from Actors’ Spotlight of that period and you’ll see what I mean. 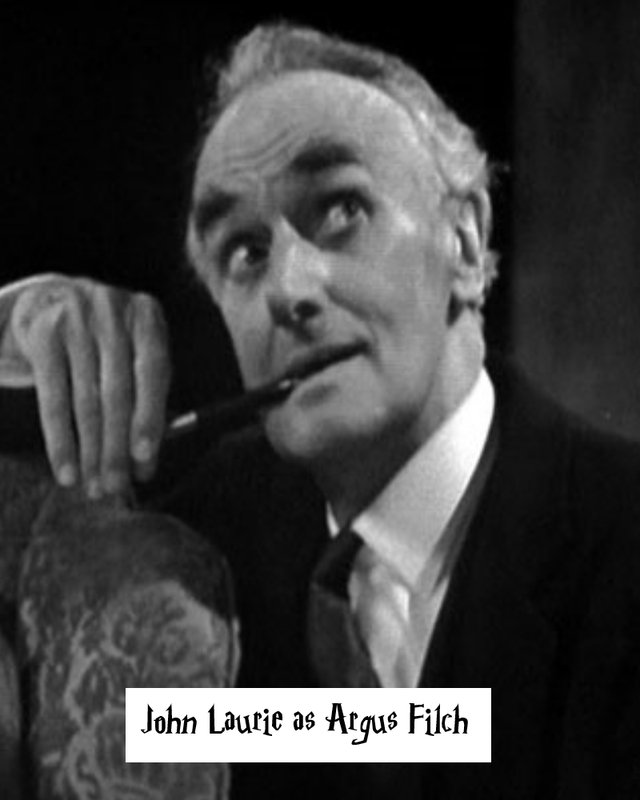 John Laurie would have made a great Argus Filch, Irene Handl a wonderful Professor Sprout, John Le Mesurier an officious Minister of Magic, Finlay Currie a thrilling Alastor “Mad-Eye” Moody, Robert Newton a snarling “Wormtail”, Richard Wattis a bumbling Quirinus Quirrell and Hattie Jacques an enchanting Fat Lady – it’s a game that you could play all night! 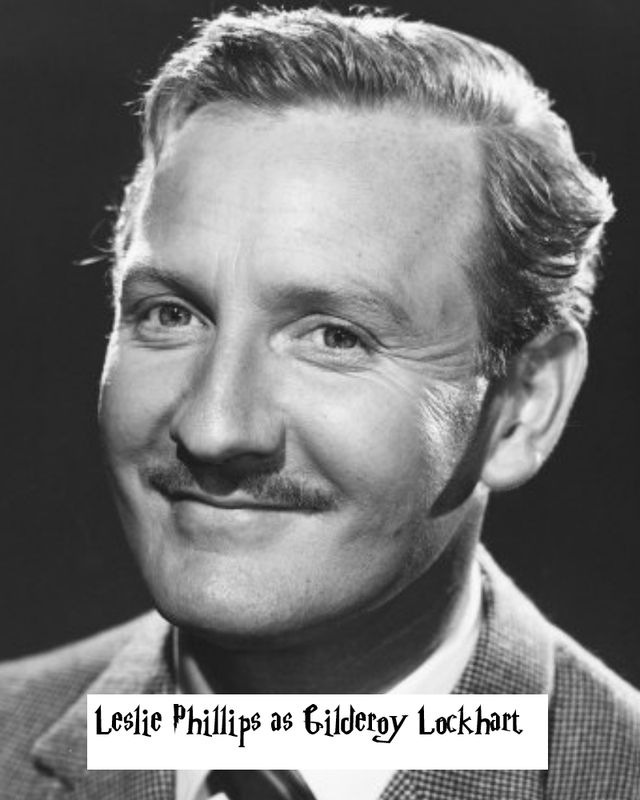 In his salad days Leslie Phillips, now the voice of The Sorting Hat, would have made the perfect Gilderoy Lockhart. 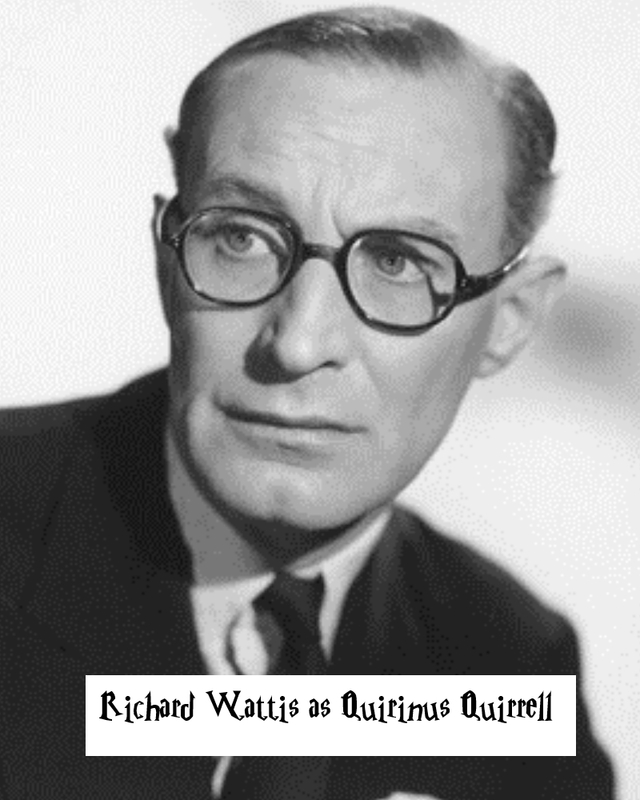 The point is though the qualities in those fine character actors of yesteryear are also the same character qualities and foibles you find in the current casting of HARRY POTTER. 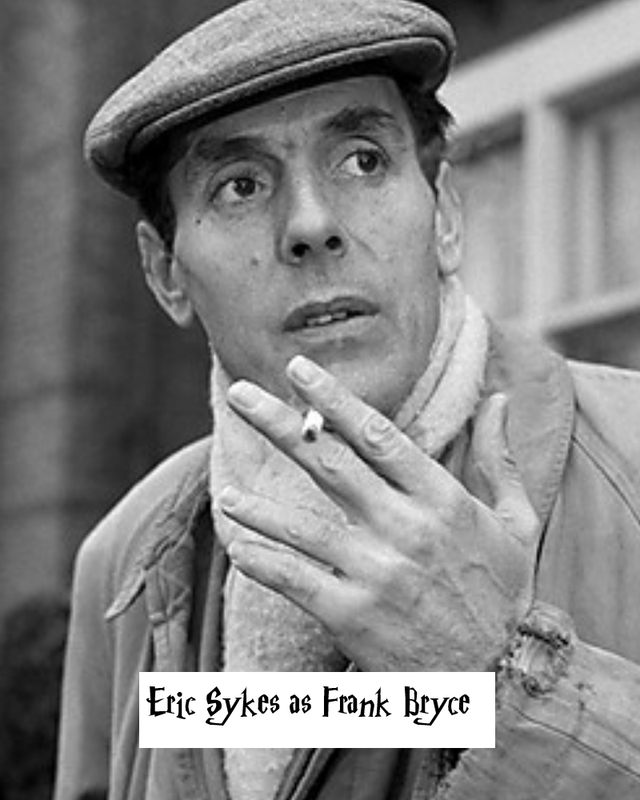 The only character actor who actually survived from that time who could have been cast in the same part in either era is probably Eric Sykes, who plays the hapless muggle Frank Bryce. But poor Eric always had a long, old looking face even when he was young! 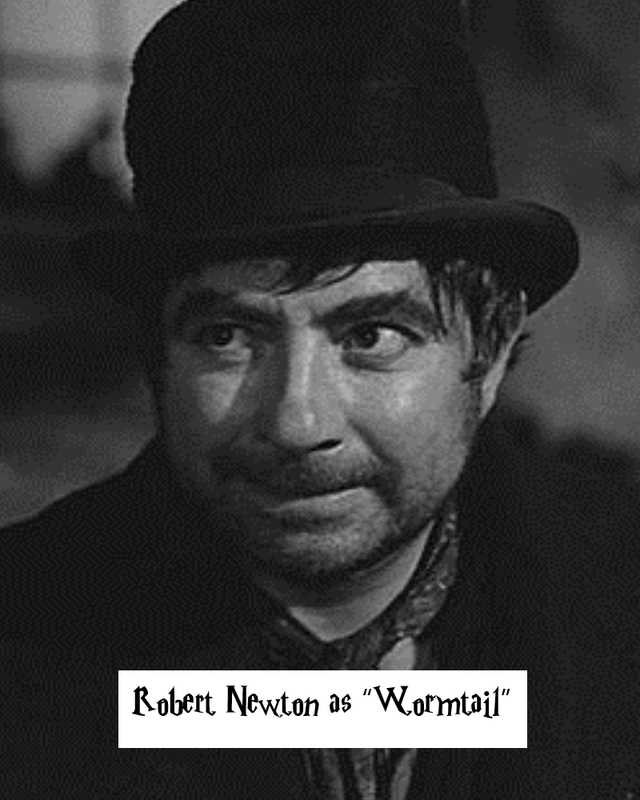 Part of what comes with the character actor is the character actor’s voice. Just as certain actors have a period face, they also have a period voice. This is where the absence of technology I noted earlier comes in. Alan Rickman, Maggie Smith, Richard Harris all have voices that seem to come from an age before the invention of emails, digital phones and WhatsApp. Compare these voices to the types you hear in the TWILIGHT series and you’ll understand what I mean. The irony is that because the HARRY POTTER voices are not really of this age the HARRY POTTER series will, I think, feel less dated in twenty years time. The more contemporary you try to be, the more quickly you begin to look out of date as the years go by. The timeless quality of HARRY POTTER is only possible because it was never really of the twenty-first century at all and the casting reflects that. Although HARRY POTTER owes much to the past, notably TOM BROWN’S SCHOOLDAYS and its genre, that doesn’t mean children can’t see the truths of the character portrayed. The brilliance of the stories and setting is that the professors of Hogwarts are archetypes that a child of any era could relate to. I bet there are quite a few tall slightly scary science teachers in schools all over the world who have been given the nickname ‘Snape’. 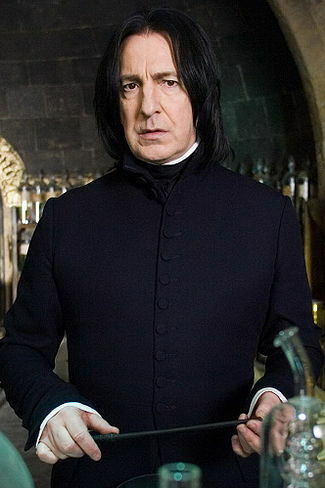 And now since I’ve mentioned the great and brave Severus let’s begin my look at my little voice collection with the dark and brooding Alan Rickman. It can’t come as any surprise that Alan Rickman had his first major leading cinematic role in TRULY MADLY DEEPLY playing someone who was dead. 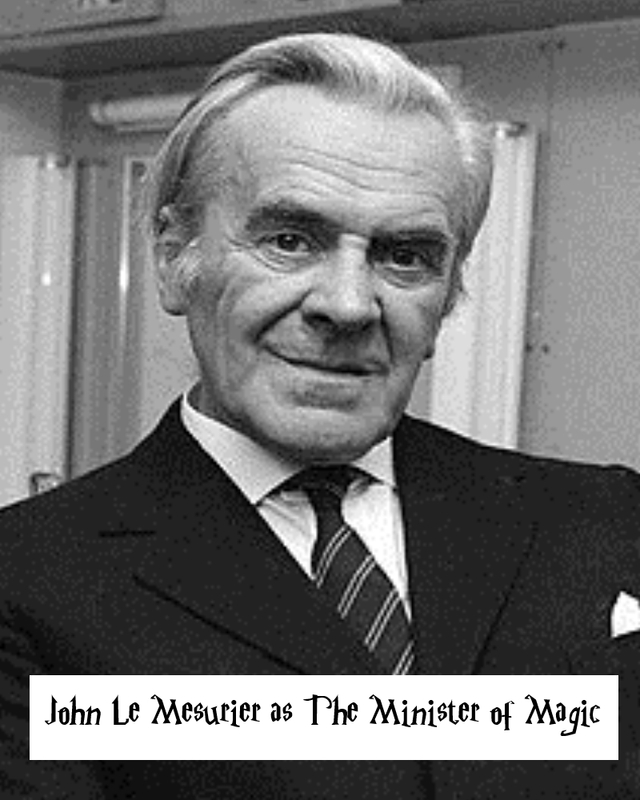 Before that he had been well known for playing the Reverend Obadiah Slope in a long black cloak in the TV drama BARCHESTER CHRONICLES. He then went on to wear more black cloaks as the Sheriff of Nottingham. Rickman’s scene stealing peripatetic syllable elongation arguably began as the beguiling villain in DIE HARD where he took lines such as “Where are my detonators?” and stretched them to within an inch of their lives. And don’t you just love him for it! He’s both playful and dangerous. Not surprisingly he was the finest, sexiest and funniest Elliot I’ve ever seen in Noël Coward’s PRIVATE LIVES. He caresses words in his mouth as if they are a great and rare delicacy worth savouring. His pitch though is much deeper than mine and to get his register I had to do quite a bit of work on my musical scales, pushing my voice down note by note over several days. Once I got there though I spent many happy hours going round the house saying to myself “Shoo-tt the gla-ss”. My first memory of Maggie Smith is seeing her as the idiosyncratic Jean Brodie in THE PRIME OF MISS JEAN BRODIE when it was first shown on television in the 1970s. 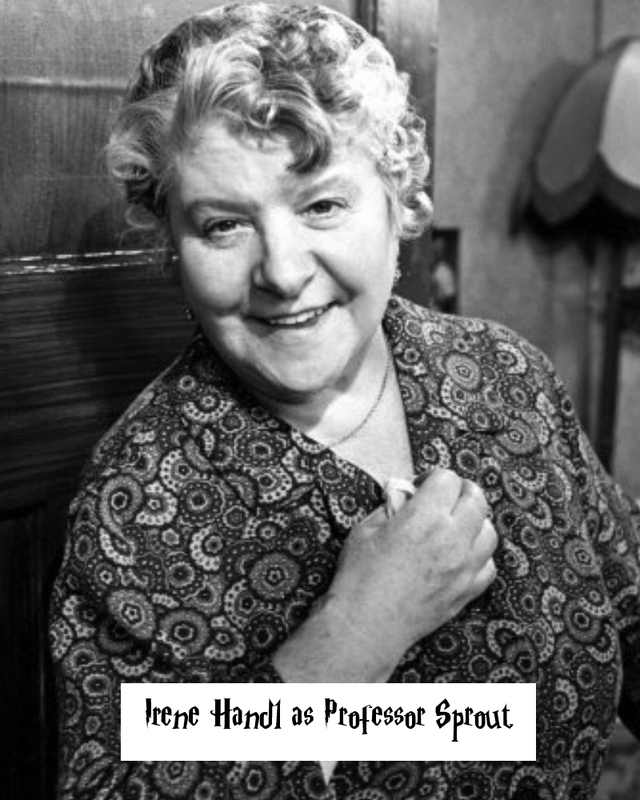 I was a schoolboy at my old grammar school in Leeds at the time and I and my school friends talked about which school master – yes, we called them ‘master’ – was most like her in style. We came up with our religious education instructor, a Jesuit priest, called Father Edwards, who was exceptionally eloquent and bright but was as camp as they come and who we called, quite affectionately, ‘Sister’ (looking back, like Hogwarts, St. Michael’s College was really a very odd sort of school). The Scottish accent Maggie Smith had in JEAN BRODIE is still present in HARRY POTTER but there is now a mellow and more unashamedly comic undertone to her performance. Her line “I’ve always wanted to use that spell” had me bursting out laughing when I first heard it. Although I make fun of her Scottish accent in my stand-up routine, to be fair, it really is quite good. 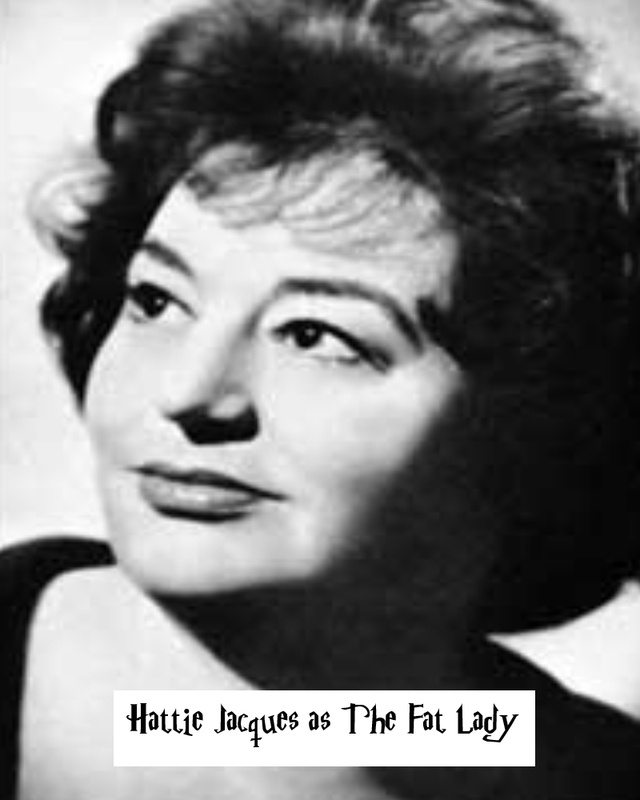 What is noticeable though today is the more nasal nature of her tones and her unfearing use of her dynamic range for comic effect, a technique she herself acknowledges was taught to her by none other than Kenneth Williams when working on the revue SHARE MY LETTUCE (I must be one of the few people in the UK who has that very rare CD). 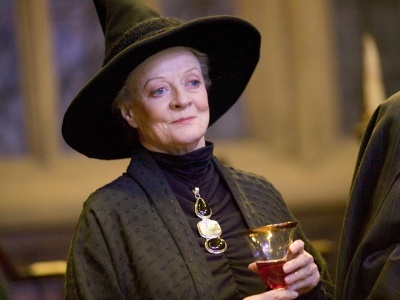 Dame Maggie Smith is a very mannered actress, yes, but perfectly so and impeccably cast as Minerva McGonagall. The saddest loss during the years of making HARRY POTTER was that of Richard Harris who played Dumbledore in the first two movies. 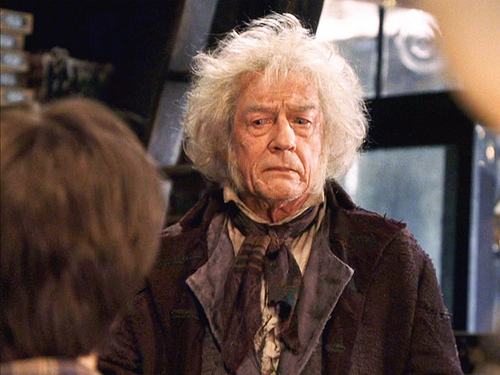 Michael Gambon certainly brought a more solid energy to the part. That said, the unassuming almost vulnerable Dumbledore of Richard Harris always had a sense of something unbreakable beneath. Having seen Richard Harris as Henry in Pirandello’s HENRY IV (for me one of the greatest stage performances I’ve ever seen) I can say as a witness from a distance of a few feet, Harris could in one breath unleash unbridled passion and strength from a seemingly passive nature. 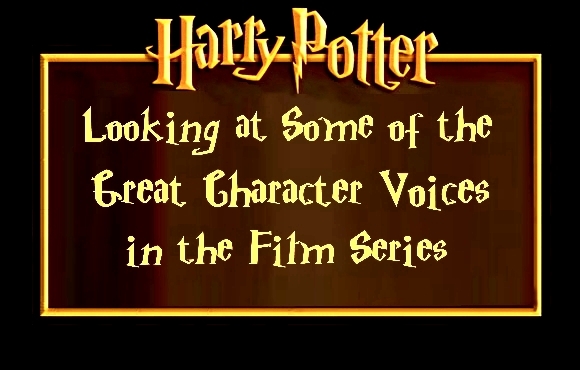 The voice he brought to Dumbledore sounds easy but is in fact one of the most difficult I’ve ever tried. 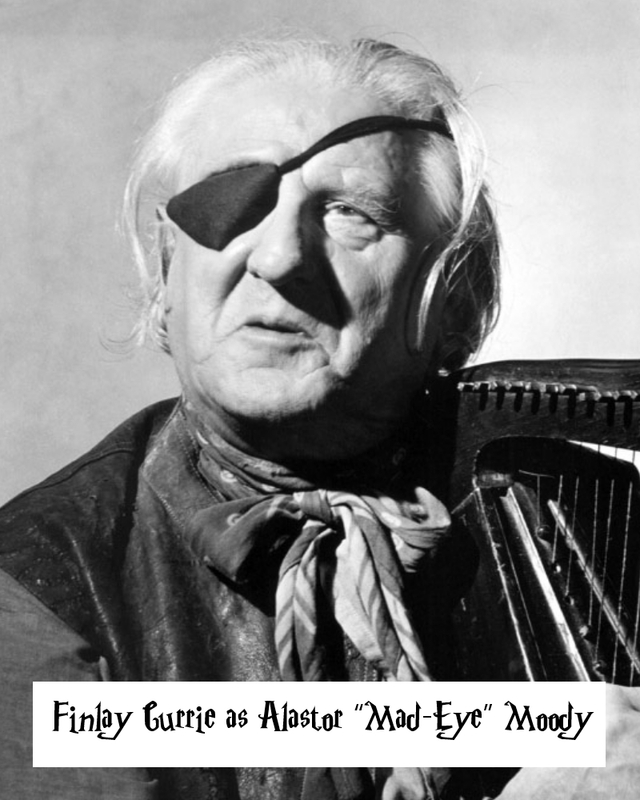 The bluster and anger of “Mad-Eye” (brilliantly played by Brendan Gleeson) is relatively straight forward in comparison. Voices with strong energy and dynamic range often are. 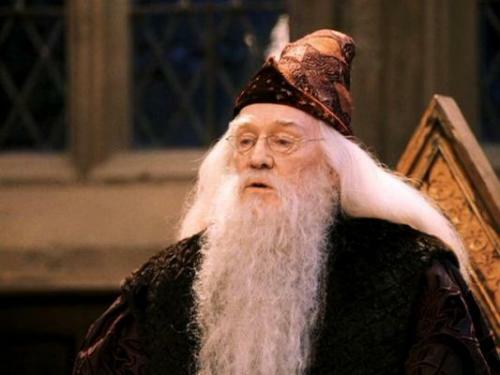 It is the quiet energy of understated authority Richard Harris brought to Dumbledore that is difficult. Whispering voices are gossamer-like and technically never easy. However, I’m such a fan of Richard Harris I couldn’t let it go. Besides, the warmth and love in the voice of Dumbledore made him a joy to do and spend time with. John Hurt I’ve been doing for years, ever since his days as Caligula in I, CLAUDIUS. He sometimes takes vocal pyrotechnics to extreme but his Garrick Oillivander performance in HARRY POTTER is well-grounded. John Hurt has the remarkable ability to invest meaning into lines such as “The wand chooses the wizard” and make them incredibly impactful, even though he couldn’t have actually realized at the time he was foreshadowing a major twist in the plot. Again, he’s an actor I’ve admired on stage albeit in a rare appearance in Beckett’s KRAPP’S LAST TAPE. John Hurt plays forlorn defeat like no other actor I’ve seen. David Thewlis comes from a more naturalist tradition than any of the actors I’ve mentioned so far (an early breakthrough in films for example was in Mike Leigh’s ultra real domestic drama LIFE IS SWEET). 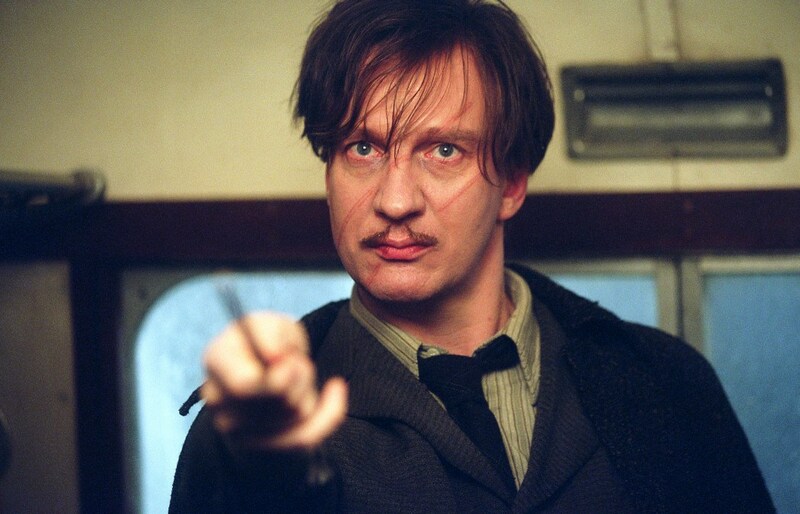 Thewlis’s acting and vocal style is more throw-away than dynamic but it is a style that works perfectly for Remus Lupin, a name I noticed only recently that hints at his wolf-like secret. 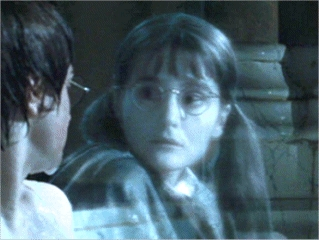 Thewlis’s naturalistic style works well especially in the friendly chats with Harry Potter discussing Harry’s parents with whom he was friends. When he says “Sorry to hear about your broomstick, Harry” it almost has a father-son feel. The under playing is entire believable and oddly moving and makes, I think, for a rather nice moment. As I said when talking about Richard Harris, quiet whispering voices are always more difficult to pull off than those which are loud and dynamic simply because there is so little to play with. Still, I had great fun saying over and over again “Nagini, dinner” until I got the right sense of menace. 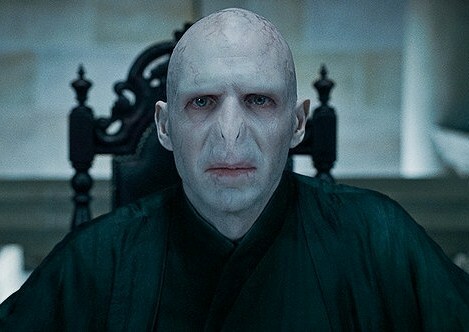 Again, Ralph Fiennes is an actor I hugely admire. He’s one of those performers with a great presence both on film and on stage. He has stunning eyes when you see him in person up close. It helped of course in doing the voice that the words of Lord Voldemort were familiar, something also true with my version of Rupert Grint as Ron Weasley. I’ve been impersonating John Cleese from FAWLTY TOWERS for a while now so I thought I’d throw him into the mix too. That overly cordial “Good morning!” he has as Basil, followed by that slightly laboured laugh, is pretty much undistinguishable from his “Headless Nick” character. The one voice that needed a considerable amount of work and was new to me was Toby Jones’s Dobby. Dobby is high pitched but there is a ‘break’ or ‘crack’ in the voice that is technically very difficult to create. It is the sound you get when you gargle. Similar vocal cracks are found in Homer Simpson and, oddly enough, the British Conservative politician, Ann Widdecombe. But with Dobby it goes beyond technical placement and pitching for this little elf is a bit of a contradiction in that, yes, he is a faithful servant, but also one who is quite wilful and mischievous. Spriteful, I would say, if there were such a word. 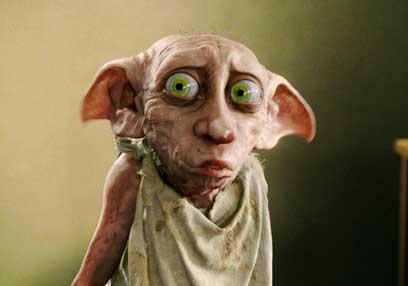 Predominantly though Dobby is the ultimate in unworthiness. It took me many attempts to get the right intonation and feel into how he says “Dobby has never been asked to sit by a wizard”. Only on one take did I get the ‘sit’ the way I wanted it. People say I have a natural aptitude for doing female voices. I put it down to being brought up mainly by women who I liked far more than the men of the family. Nevertheless, that does not make doing a female voice any easier than a man’s. With most female voices I have to prepare myself by taking my own voice up the musical scale. The trick I use is the melody of DO RE MI which in one section climbs, and in another, falls. Luna Lovegood (played by Evanna Lynch) has a wonderful melodic Irish charm to her voice whereas “Moaning Myrtle” (played by Shirley Henderson) is more scratchy and punk-like. 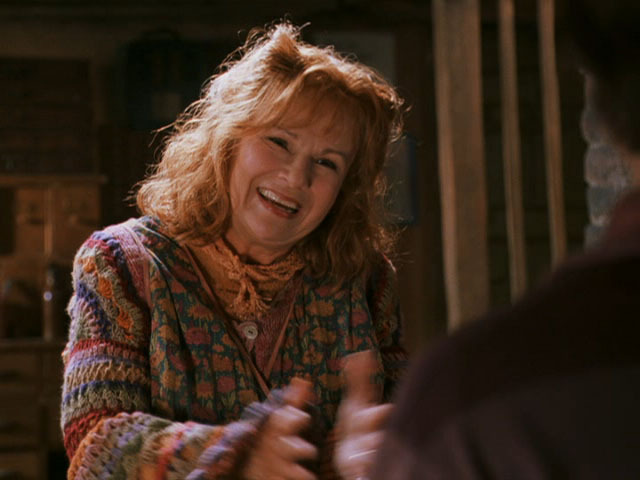 Julie Walters who plays Molly Weasley I’ve being doing for years but I still need to take off from the top note in DO RE MI to get her. 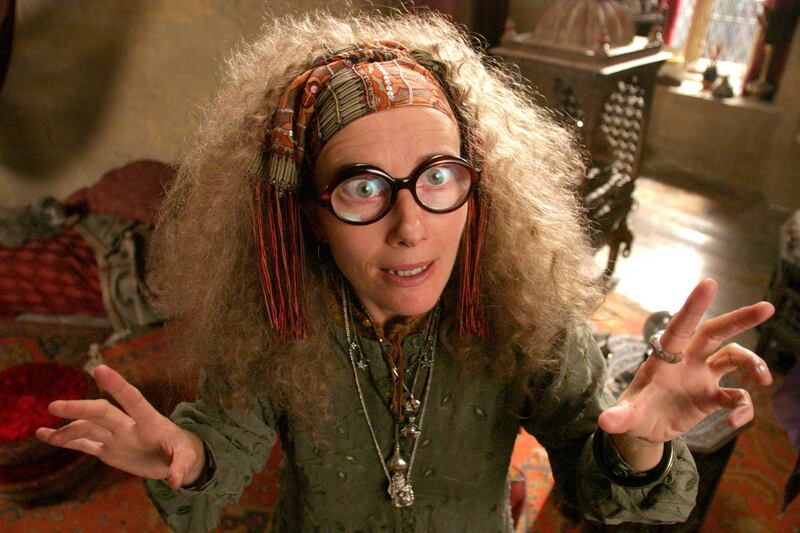 Emma Thompson as Sybill Trelawney is lower but her undulating vocal rhythm is far from easy. 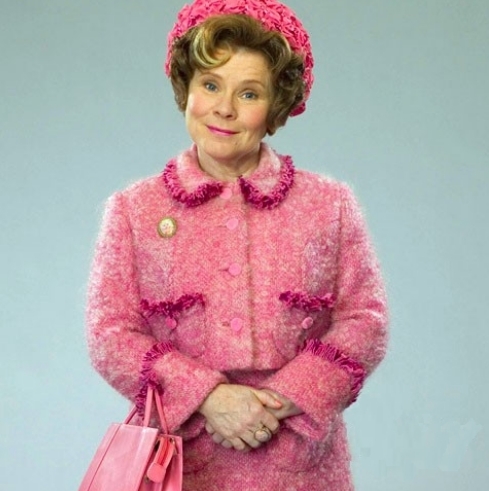 For Imelda Staunton’s Dolores Umbridge I took the prim morality oozing from the vocal tones of Mary Whitehouse (who I did on TV in the 1980s) and then added a more Home Counties accent. The real challenge of Dolores Umbridge is her uneasy nervous little laugh that never quite loses that element of threat. Finally, as far away from female voices as you can get, there is Hagrid. To be fair my Hagrid is hardly a proper impression, more an affectionate little joke on how sometimes voices can seem to be born of an unlikely source. Again, I hugely admire Robbie Coltrane. Like Hagrid, a great bear of a man with a huge child-like human soul.